6. Russia ash wood veneer can be used on the surface of furniture,door,plywood,MDF,chipboard,block board,interior decoration etc. Ash is the common name of brown ash veneer. Originated from northeast China and Irkutsk of Russia, the grain is similar to American and European Ash, but much cheaper. 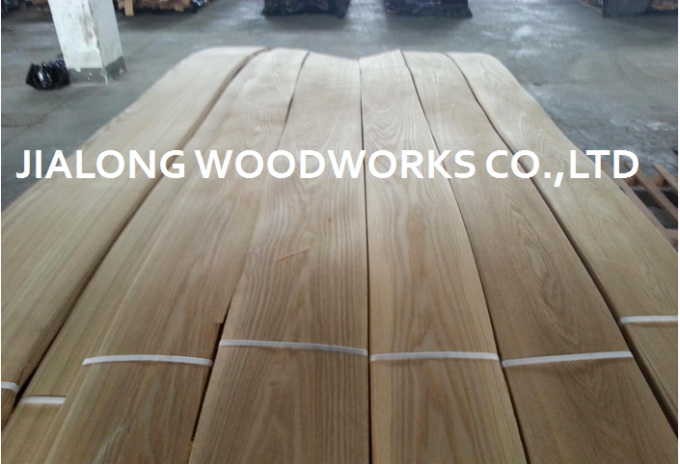 the Moisture is less than 15%,In woodworking, white ash is the most valuable, and builders commonly use it to produce a veneer, which is a thin slice of wood. Builders use ash veneer to cover blocks and planks of common wood that later will become doors, windows, floors or pieces of furniture. Ash veneer can have different grain patterns, which depends on the way the logs were cut. To produce a quarter ash veneer, the blade cuts in a angle, about 45 degrees, to a line parallel to the log's center. 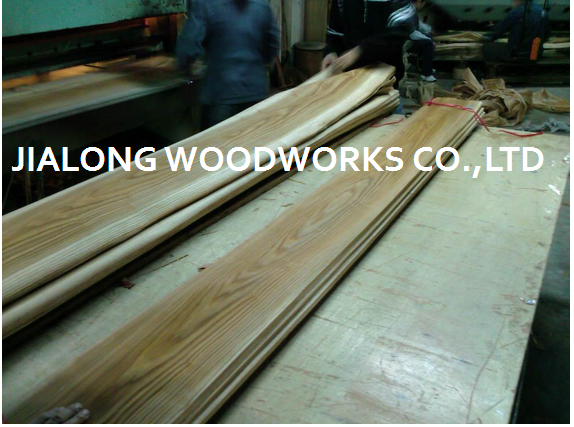 This results in a a striped grain, because the cut is perpendicular to the the tree's growth rings. 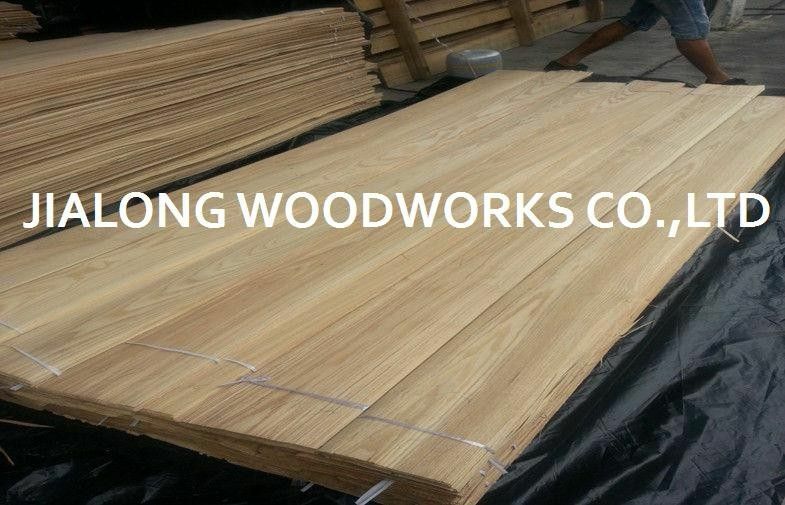 Although more common in oak veneer, it is possible to make rift ash veneer, which is similar to quarter ash veneer. The logs are cut into quarters and put off center in the cutting lathe. This results in bigger vertical grain patterns. Russia ash wood veneer,also called China ash wood veneer and brown ash wood veneer,originated from Northeast from China and Irkutsk of Russia,is a hardwood veneer mainly used for furniture surface making and interior decoration,Russia ash veneer has a nice grains with uniform light brown color,the most popular grain from of Russia ash veneer is crown cut and quarter cut,the better logs display a uniform cathedral crown with clean,straight stripes,the annual growth rings are ofter strongly defined and give the veneer a distinctive look,in veneers,the grain and structure of Russia ash veneer is very similar to White ash veneer,which makes it one of more attractive hardwood veneers,but much cheaper. 9. The veneers have the good character of average of thickness, moisture content and so on.